But if you can’t wait the Binary Hub Opens in 2016. If I was asked for my opinion I would describe Dorset Street as one of the ugliest and run-down streets in Dublin and I avoid it as much as possible so I did not realise until a few days ago that a large student accommodation construction project was underway not far from my apartment. About ten years ago a similar but much smaller project was constructed next door to my apartment block and it was billed as being upmarket but after it was completed the owners abandoned the student market to competed directly with local landlords and already the building appears to need maintenance and because of its design attracts much anti-social behaviour. I assume that the complex on Dorset street hopes to service the needs of students attending Grangegorman. Between now and late 2020 all the DIT campuses, from all over Dublin city, will be merging onto one location. The new Grangegorman campus is situated just on the outskirts of the city centre, and will offer students the unique experience of studying at a newly developed third level institute. 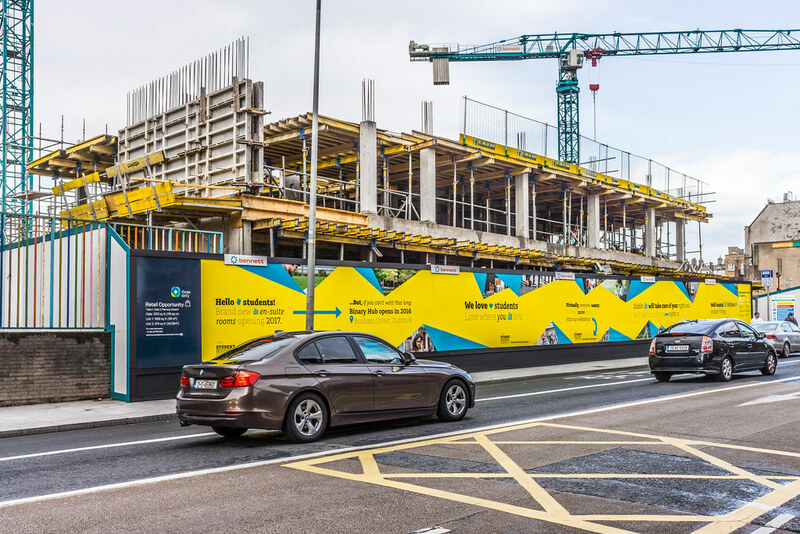 When construction has been completed the entrance to the campus will be located at the planned Luas tram stop which will be about three minutes from my front door. The new campus will be provide student residencies on site. The student residences will offer a range of housing formats from 6 bed and 3 bed apartments to private studio/family units. Ground level spaces for dining, social and study lounges, and related shops serve to activate the Serpentine Walk on the south side, and St. Brendan’s on the north side. There is a number of student accommodation projects underway:  The Binary Hub in Thomas Street [located in Bonham Street, which is halfway between the Quays and Thomas Street and a thoroughfare will connect the two streets]  Global Student Accommodation (GSA) a Dubai group that operates thousands of student beds in Europe and the Middle East, has announced it is to proceed with a second Dublin student facility at Gardiner Street. 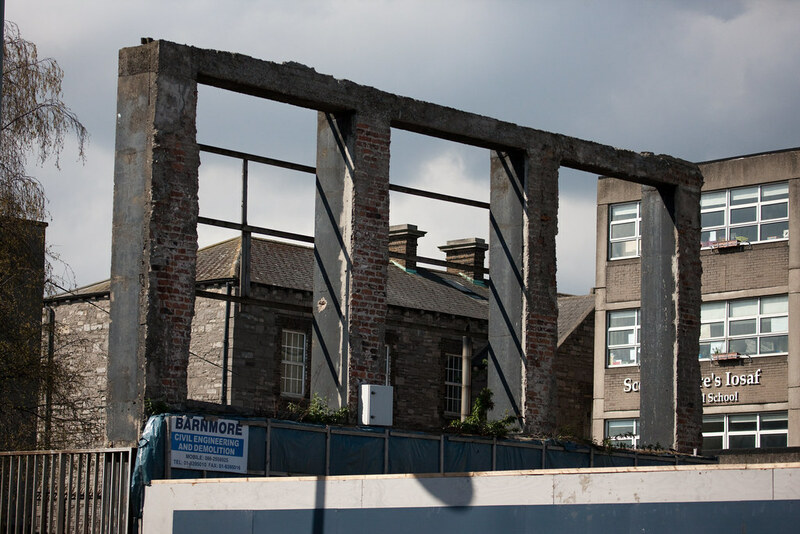 The group is joining forces with Carrowmore Property to provide almost 500 student flats on the former IDA site in the north inner city. 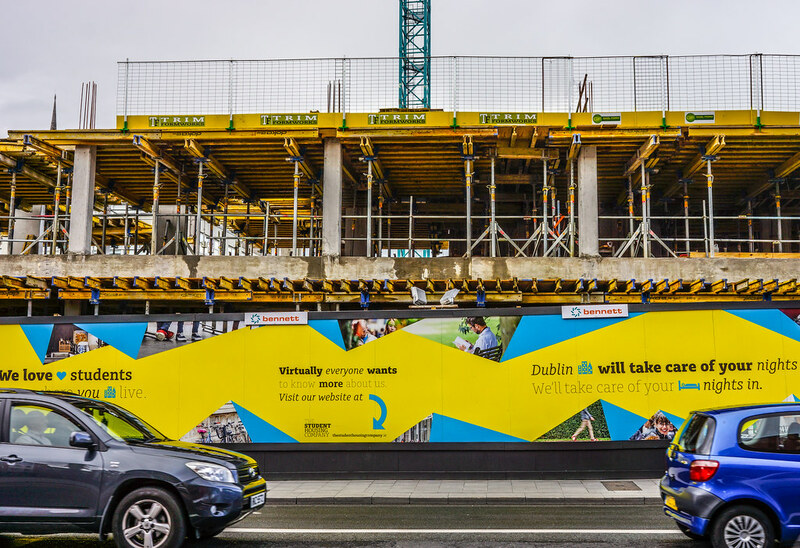 The company is to invest €60 million on the development of the seven-storey buildings which will be within easy walking distance of Trinity College and the Dublin Institute of Technology. The students will be even closer to the stops on the proposed Luas cross-city service. 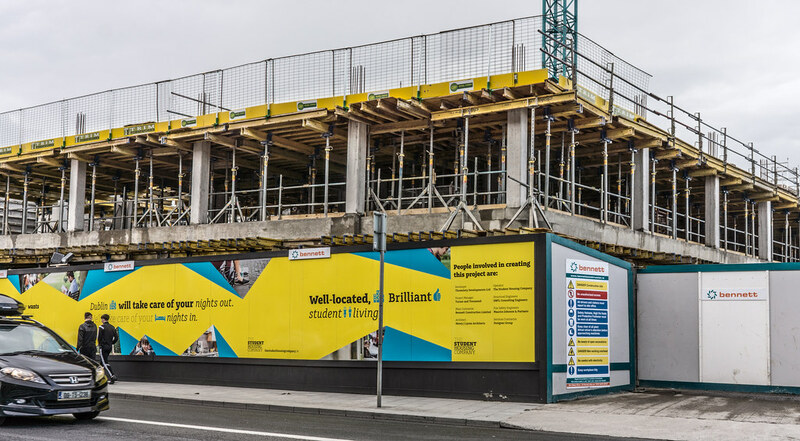 Construction of a 400-bed student accommodation centre in the Liberties area of Dublin got underway in November 2015 after the scheme got the green light from An Bord Pleanála in September 2015. 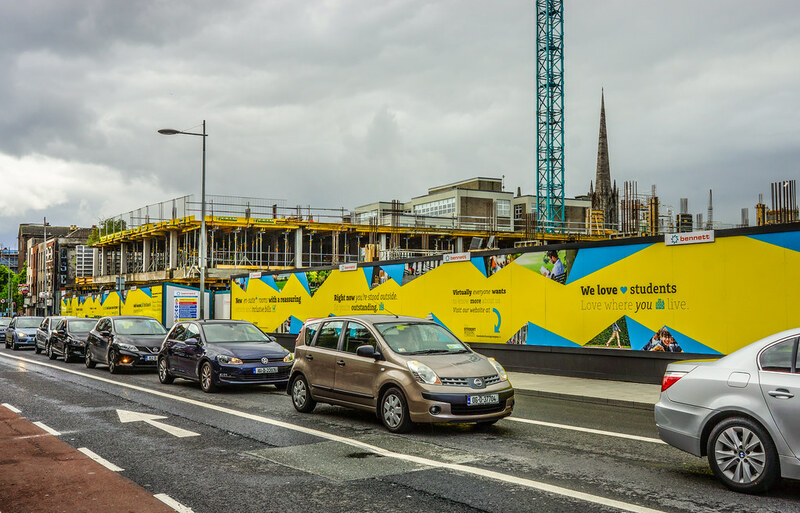 The development, which is located on a 2.5-acre site on Mill Street in the Newmarket area of Dublin 8, will eventually contain some 12,077sq m (130,000sq ft) of student accommodation in “clusters” of three to eight-bedroom units rising to heights of between four and seven storeys.There will also be three shops with around 186sq m (2,000sq ft) each and a restaurant in a block containing a further 557sq m (6,000sq ft) of commercial floor space.